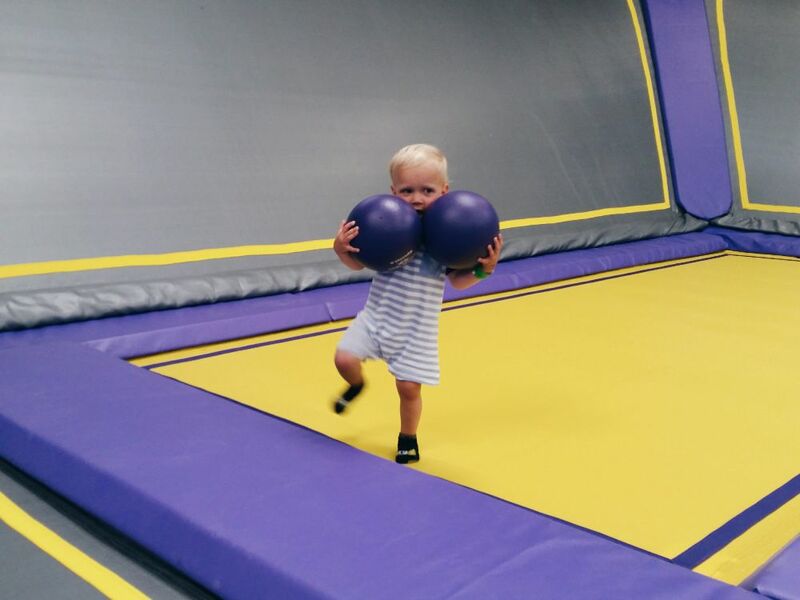 Entry to Gravity Tots sessions is £5 per child and adult, and you also need to purchase a special pair of grippy socks which cost £2. Keep hold of these as you can use them on future visits, too! The sessions last an hour, and before you go in you need to listen to a brief safety chat as there are a few rules to ensure everyone stays safe. My two crazy monkeys had a blast leaping up and down the tumble tracks and lobbing balls at each other in the dodgeball courts. We had a look at the foam pit on Little N's request, but then he got scared and refused to jump in. JJ was eager to get in, but sadly he's too short! We did get into trouble a few times as the boys were unwittingly breaking rules, for example running when running is not allowed, and I admit I found it a struggle to keep an eye on both of them as they were wanting to do different things in different areas. They had a lot of fun though! Once your jump session is over there is a great cafe upstairs to relax and grab some refreshments. The boys were sweating buckets by the end of their hour so their drinks were gratefully received and guzzled quickly. 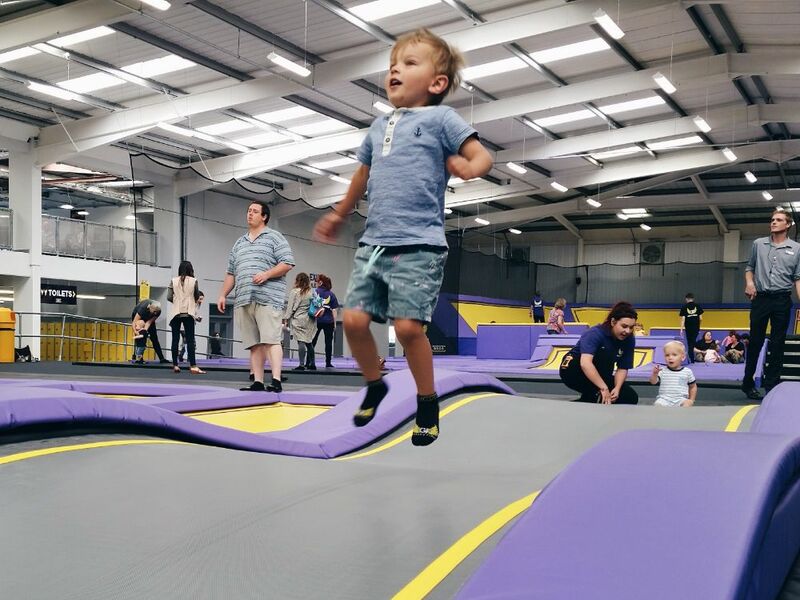 Little N has been asking when we're going to go back and has even asked if he can have his birthday party there - which is something that Gravity Force can do so we will certainly consider it! 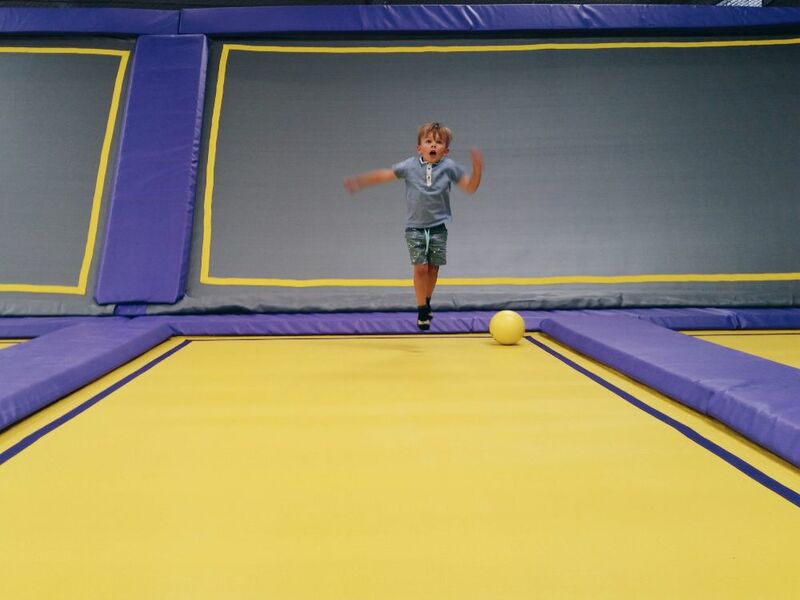 Find out more about Gravity Force St Albans and how to join in the jumping good fun here!